Note to readers: Beginning with this monthly update, all market statistics will reference the Denver Metro Association of Realtors’ report, which includes data from 11 counties (compared to previous monthly updates that included data from seven counties). While we are still in a market that favors sellers, a decrease in average home prices and an increase in days on market is providing buyers with some optimism. 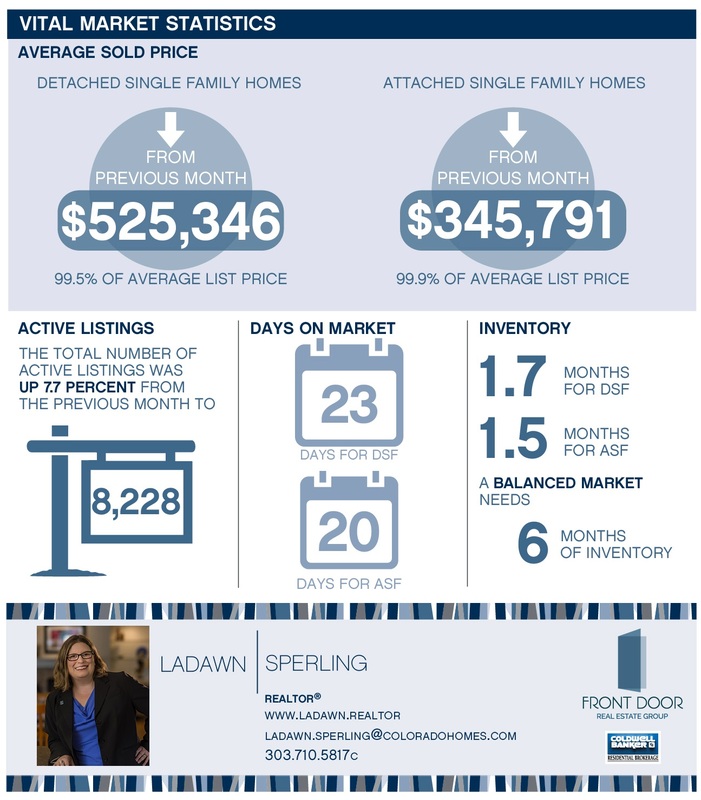 In addition, the number of options for buyers has increased as inventory reached the highest level in four years. - Days on market rose from the previous month for both DSF and ASF, increasing to 23 and 20 days, respectively. An increase in mortgage rates has led to fewer mortgage applications compared to a year ago. With less buyer activity, there seem to be fewer multiple offers, inspection allowances and appraisal guarantees. However, well-priced move-in ready homes are still selling quickly. This update is based on information provided by the Denver Metro Association of Realtors® for the period of August 1, 2018, through August 31, 2018, for the following counties: Adams, Arapahoe, Boulder, Broomfield, Clear Creek, Denver, Douglas, Elbert, Gilpin, Jefferson and Park.